Running a farm is hard and often thankless work—unless that farm happens to be an adorable piece of virtual land overseen by a helpful, chatty scarecrow. 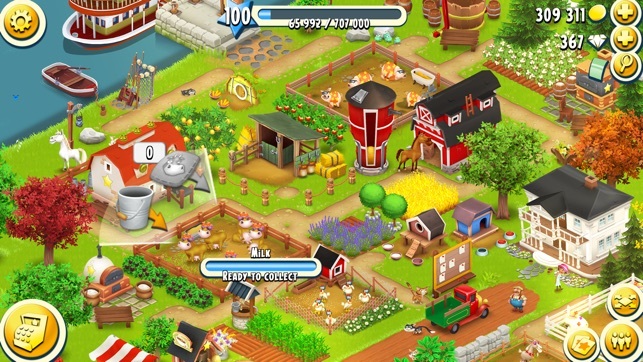 Swiping across plots of land to harvest crops, feed livestock and manufacture goods is pleasantly relaxing, and growing your tiny farm into a booming business is a hugely satisfying achievement. 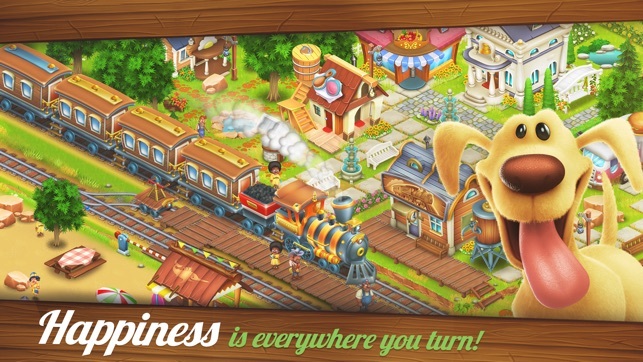 Silly characters, cute critters, and a variety of things to plant, reap, build, and sell make Hay Day easy to pick up and tough to put down. I’ve always been a fan of designing, leveling up, crafting kind of games, they’re plenty of games out there, but unfortunately I honestly get bored very quickly. The games looks fun, and when I at first try it, it usually is fun, until a week later and I’m just bored out of my mind. A lot of games don’t carry on the hype and energy hooking the viewer to play more and more, and it gets boring to the point where you’re ready to uninstall it, it wasn’t until I played Clash of Clans that I really enjoyed a game. But, I’m not talking about Clash of Clans, I’m talking about Hayday. Hayday is an AMAZING game. I fell in love the day I started playing. I’ve been playing for an awfully long time now, and this game deserves a review. When I started playing more and more of Supercell’s games, I realized this company is NOT money consuming (In my opinion at least). You see, I don’t EVER pay for anything in games, and sometimes it gets really frustrating to play games that are just made to drain your wallet. 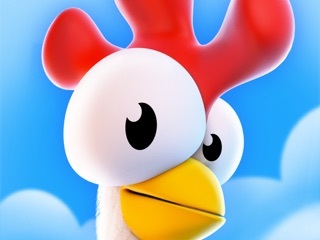 I’ve never felt that way about Hayday or any of the other games Supercell has released. I love the overall idea of the game, the graphics, the details, everything!! I’ll admit, it does take some time to do some things, BUT, I personally don’t mind too much. I believe Supercell is pretty generous to its community, and does a lot for us, and I’m honestly grateful. 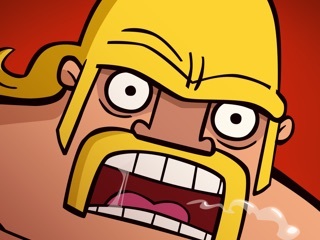 I highly recommend this game, along with the rest of Supercell’s games!! Okay so I have been playing this game for 3 years now! I really, really love it! 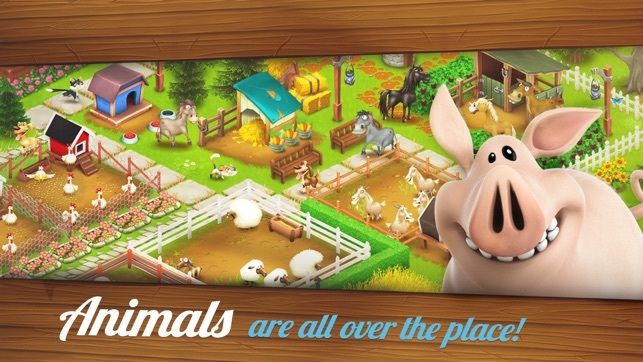 When I was younger, I downloaded this game because I saw animals and I am in LOVE with animal games! I played the game and I didn’t understand and I only made it to level 6 back when I deleted and completely forgot about Hay Day. 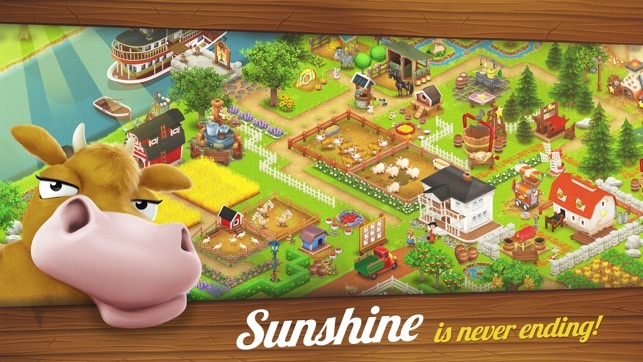 When I was looking through my purchased games, I noticed hay day and I was like, “Ohh, I remember this!”. So I downloaded and started a whole new game. I am on level 14 and I am so addicted! Every time I get a notification like; “Milk is ready to be collected!” Or “Your animals are missing you!” I click the notification so fast and spend as much time as I could on the game. My favorite animal on the game (so far..) is the pig! It is really cute and chubby 😻 and when I tap on them they wave! How cute!! Everything adds up to the game and everything is homemade! 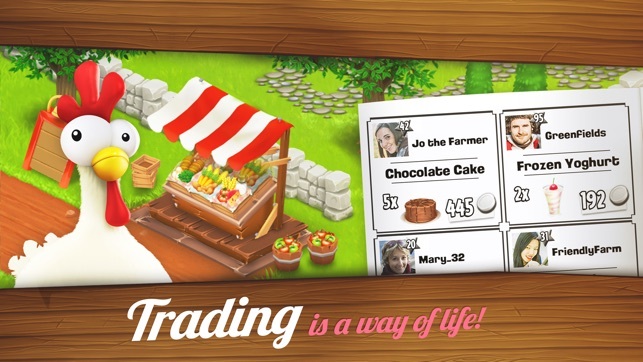 We harvest crops, use those crops to make goods, and get money for selling them! Everything grows in the game and nothing will ever stop growing! I also adore the way we can chat with other people and trade! It’s a really good way to meet people and help other farms out. I am in a neighborhood and I am really good friends with everyone in the neighborhood. I also like how the game isn’t cruel and we don’t slaughter the pig for bacon, but we do put hem in a machine and take their fat! I really love this game and I hope updates will come on their way soon!